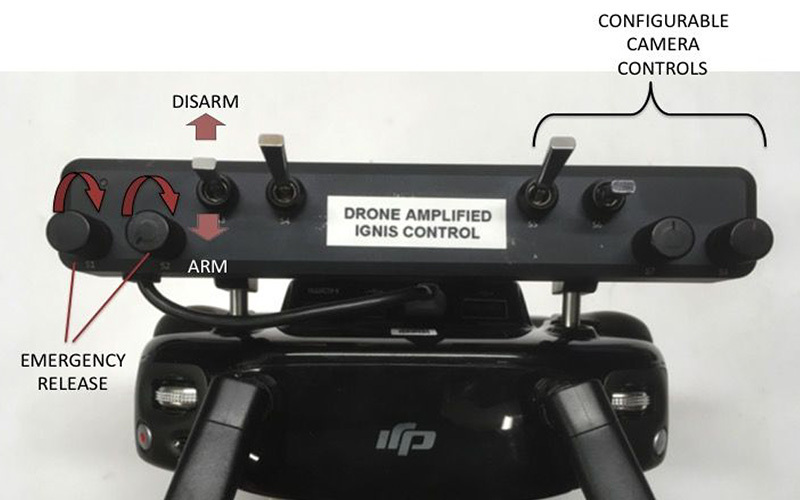 Fly, monitor, and control the drone and Ignis. View video feed from drone. Create geofence to ensure Ignis won’t drop outside that area. 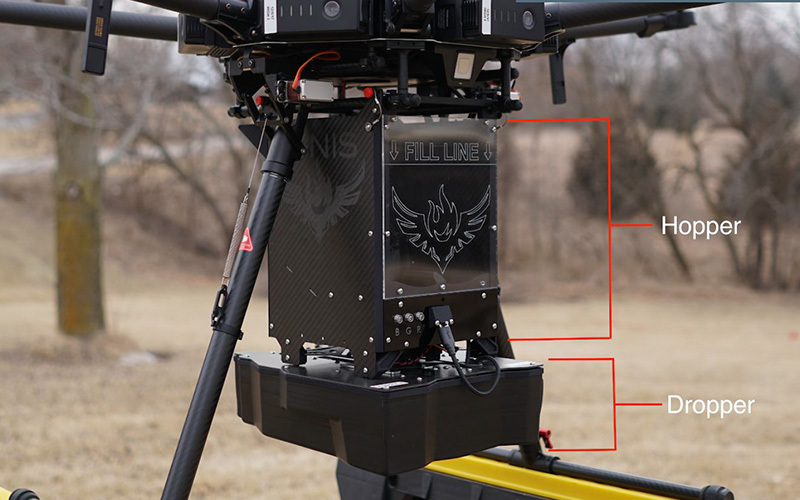 Place waypoints and autonomously ignite burn lines. Configure ignition spacing, number of ignition spheres, mission duration, and altitude. Download offline satellite imagery and elevation maps to fly in backcountry areas. Setup Ignis over short-range bluetooth without using the drone. 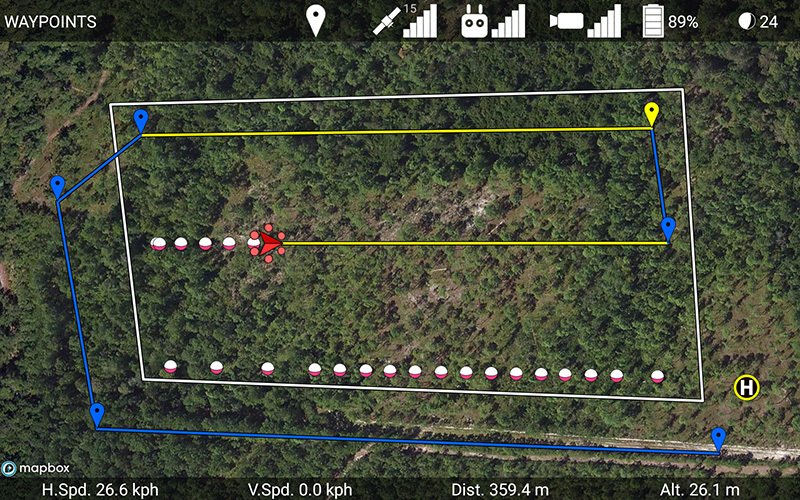 Calibrate drone compass, view drone diagnostics, and configure drone settings. Save flight logs and drop locations to spreadsheet file. IGNIS is a patent-pending technology. Licensed exclusively by Drone Amplified. Copyright © 2019 Drone Amplified.